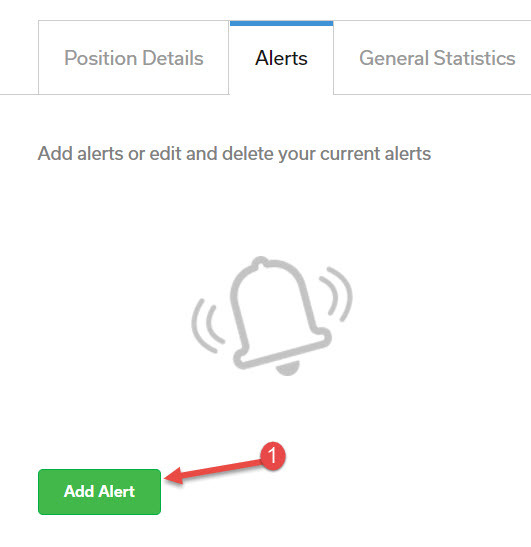 The Alerts tab will allow you to view, add, and edit alerts created on this position. If you don’t have alerts, this page will be blank. To add an alert, click the “Add Alert” button (1).